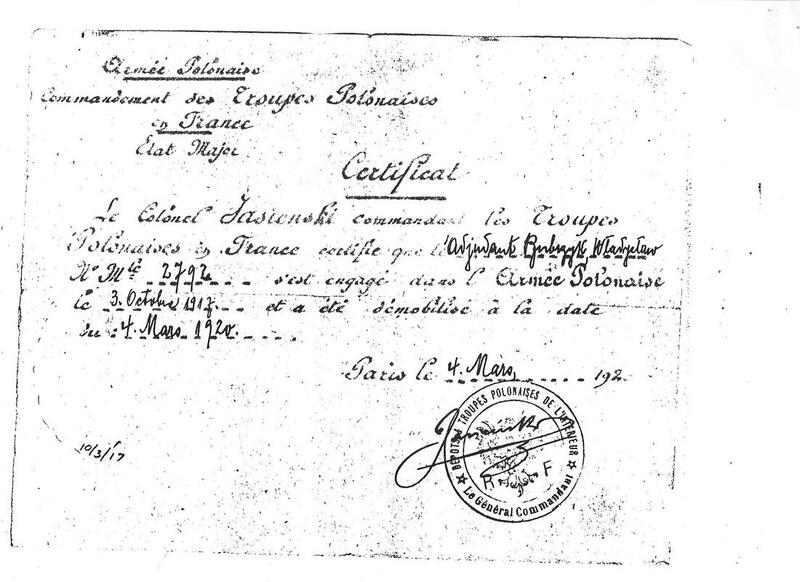 ​*Note: These translations/interpretations were tracked down by Annette Paluh, granddaughter of Walter Bubrzyk, through her friend Romuald Roman, a Polish native who emigrated to the U.S. in the late 1970’s. Walter Bubrzyk was born in Poland 1896, emigrated to America in 1913, and settled in Erie. 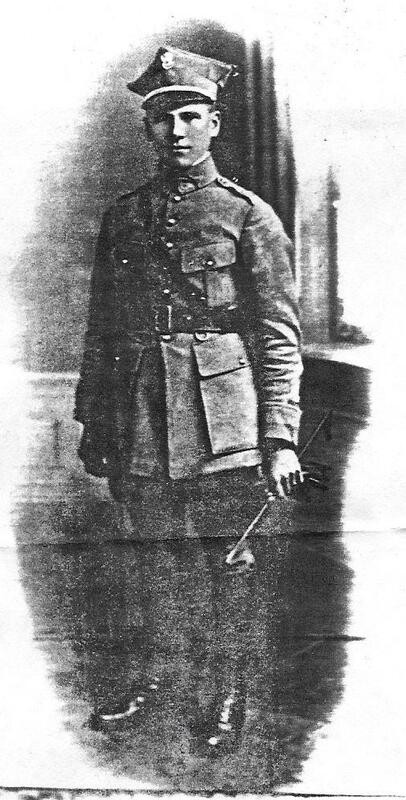 In 1914, he became a member of the Polish Falcons, Nest 610. In 1917, the national president, Dr. Teofil Starzynski exclaimed: “The time is nearing – Defense, Druchowie.” Consequently, Walter Bubrzyk enrolled in a training course at Cambridge Springs. 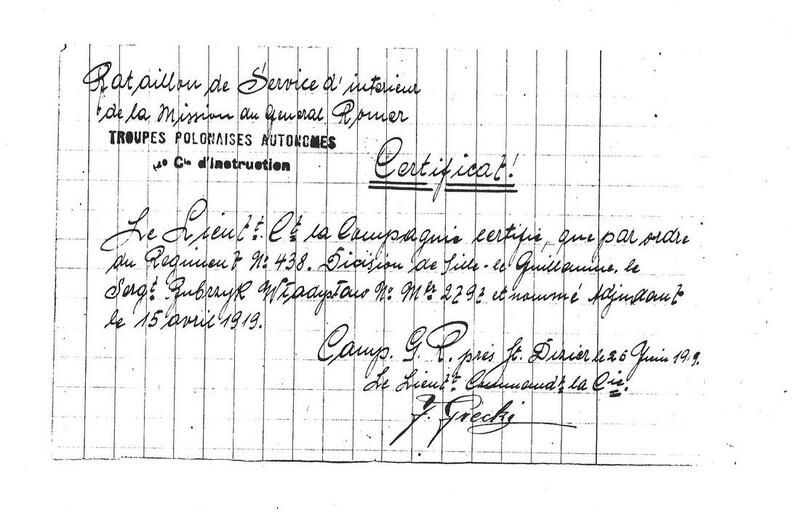 After completion of his training, he returned to Erie and organized a new Nest at St. Stanislaus Parish – and enrolled 16 applicants to the Polish Army. In October 1917, along with the enlistees, he embarked to a Camp in Niagara on the Lake. Walter Bubrzyk served as a Sergeant with 1st Regiment, 3rd Battalion, 11th Co., and while in action in France, he was wounded and gassed. He fought in Poland on the Eastern Front, and in the Ukraine. He served in Poland’s campaign against Russia. There was a large battle for Warsaw during this campaign. The campaign is also known as the “Miracle at the Vistula River,” where Russia was driven out of Poland. He returned in 1920 with the rank of Adjutant, and was decorated with several medals, including a cross from the U.S. government. After his discharge from the Army, he returned to Erie. 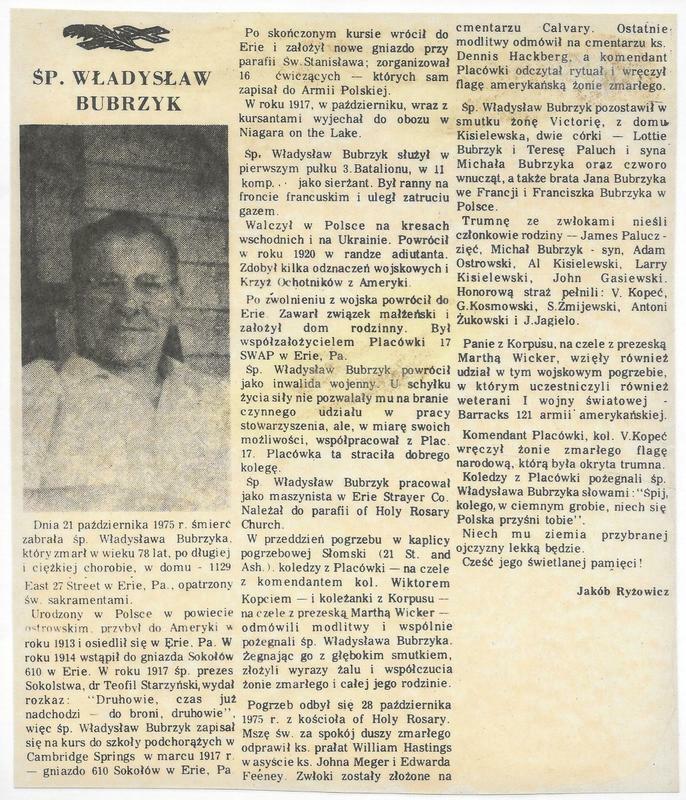 Mr. Bubrzyk was an organizer of the Polish Army Veterans, Post 17, but because of his was infirmities, he could not fully participate in the Post activities – but did render great moral support. He was later employed as a machinist at the Erie Strayer Co. and was a member of Holy Rosary Church. Walter Bubrzyk died Saturday, October 25, 1975. He was survived by his wife Victoria Kisielewski Bubrzyk; two daughters, Lottie Bubrzyk and Mrs. Theresa Paluh; a son Michael Bubrzyk; four grandchildren; two brothers, John Bubrzyk of France, and Francis Bubrzyk of Poland. 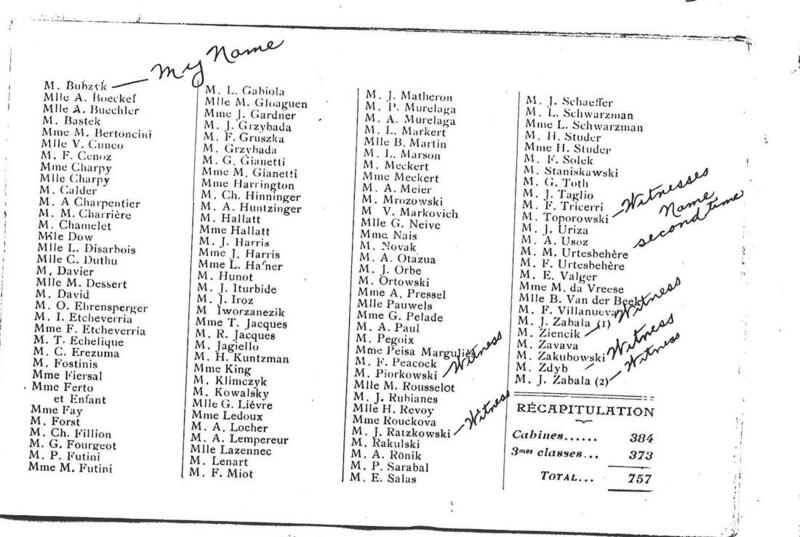 List of passengers on ship from France back to America. Very special thanks to Theresa Paluh, for sharing her father's story.